The music to a college student’s ears would be, “Your tuition bill is zero dollars,” albeit hearing those words would also be akin to waking up in the world of Never Ever in This Land, right? Not so fast. At Andrew Jackson University, the Never Ever in This Land, is yes we can. And we did. Students can get sponsored by one of its partners and pay no tuition bill at this online university. Surely, a “secret” like this couldn’t stay buttoned for too long, so the response has been overwhelming. So much so, the university has had to limit the number of students who are sponsored to 100 per month. The program was launched in July of 2008. Kassner stated they hope to increase the number of students admitted in the sponsored program in the near future, but also, they still have a few slots available for this month. Andrew Jackson University was founded in 1994 and accredited in 1998. The online school offers Associate’s, Bachelor’s and Master’s degrees, in areas like business, communications, health care management and criminal justice. 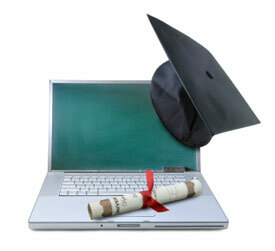 Visit www.aju.edu to find out more about its online education programs.